Should You Sign Up For Meal Delivery Plans? Food is integral to our wellbeing. Many try to make the dietary changes necessary to stay healthy and attain their weight goals but it can be a struggle. There are simply too many things to consider and often too little time to make it all work. Meal delivery services have recently gained popularity for solving this problem. Should you sign up for any of their plans? It all depends on whether the benefits are worth the cost for you. These companies take the stress out of your regular consumption. You will no longer have to think about what you are going to eat since they will take care of everything. You will not even have to the grocery store to buy ingredients. Theirs will always be fresh as they typically have ties to farms and markets. You will not have to do any cooking unless you want to whip up something on your free time. The basics are all covered so you can just relax and eat what the company provides. Store them in the fridge and heat them up when it’s time for a meal. When you subscribe to their services, you will typically have to answer a detailed questionnaire that allows them to learn about your needs and preferences. They will use the information to create customised meals. These should hit your calorie requirements, nutrient needs, and dietary restrictions. A regular person will have a hard time figuring how to balance all of those day in and day out. They can do it for you, usually with the help of nutritionists. Find a company that specialises in the kind of diet that you believe in. They can deliver to your home wherever it may be within London. Other cities have similar companies operating in their areas. Expect prompt deliveries on your doorstep at the scheduled hour every day, no matter the weather. You could have it delivered elsewhere such as your office as long as it is inside the city limits. Work out the details by calling tehir hotline. Indeed, you can call them up for assistance at any time. They can help you track your meals if they did not arrive on time. You can file complaints if you were not satisfied with the food or the delivery personnel. It is always possible to make changes to your current plan depending on how your body responds to the food. Tell them to increase or decrease the servings. If you don’t like a certain menu item, then have it blacklisted. If you like anything, ask them you send you more. Get healthy meals delivered then upgrade, extend, or cancel as you wish. Ruth’s Chris is a fine dining steakhouse with branches in America, Asia, and the Middle East. Their in-house menu is full of tantalizing options for both fine diners and the budget conscious. As you check out Ruth’s Chris price, do treat yourself to some of their signature delicacies prepared just for you. Whether you want to spend as low as $16 or as high as $100 on an appetizer, it is all up to you. Seafood is one of the specialties of Ruth’s Chris served as an appetizer or as the main cause. For starters, you may opt for a small or large plate of chilled seafood tower to jostle your taste buds. The platter is a mixture of lobster, crab legs, colossal lump blue crab, and jumbo shrimp. Alternatively, for just $18, you may gorge yourself on the flavorful seared Ahi Tuna. The tuna is garnished with spirited sauce, beer, and mustard. For an extra dollar, you may order an equally tantalizing plate of barbecued shrimp sautéed in garlic and spices then garnished with white wine and butter. Ruth’s Chris is known for their signature steaks and chops. A full course at the steakhouse should cost at least $40 and at most $95 without side orders or drinks. For the lovers of steak, the varieties available include filet, pork, lamb chops, T Bone beef, and ribeye. If it is your first time at Ruth’s Chris, a good place to start is by ordering the New York Strip. This is a prime cut beef steak that is broiled at high temperature and sweetened with corn flavor. The steak will come sizzling on a hot plate with the aromatic flavor of butter. The pork chop platter is a great choice too for first-timers. It is premium cut as well that is fine-grained and also flavored with corn. The platter is garnished with sliced cinnamon-flavored apples to sweeten the deal further. The grilled fillet is another specialty of Ruth’s Chris Steakhouse. You have two options for grilled fillet; the petit filet or full-size filet. Ruth’s Chris never fails to add their signature ingredient corn to their beef filler before throwing it into the fire. The petit fillet receives the same special treatment as well and you get to pay less compared to the full filet. Ruths Chris Steakhouse prices are designed to cater for budget-friendly meals and fine dining specials. Whether you love steak or are more into seafood, you will definitely find dining at Ruth’s Chris worth it. Ensure your entree comes with one of the in-house side platters for a full Ruth’s Chris experience. 1. Buy plastic cupcake box inserts, which will fit gently around your cupcake and prevent them from moving around in their boxes. 2. To prevent your decorated cupcakes from moving around, you can also invest in non-skin shelving liners, which you can layer on resealable container or shallow boxes that are deep enough to hold your frosted cakes. 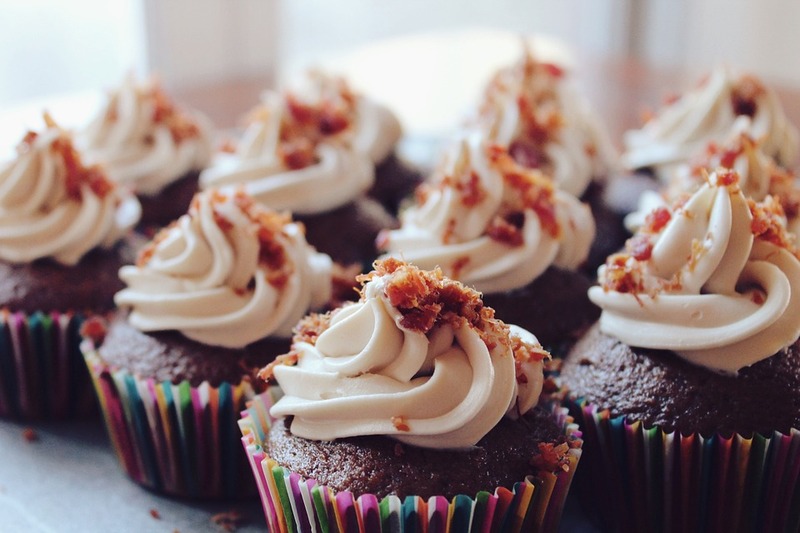 Strive to arrange your cupcake so that they are close but not touching—the liner will help keep them in place. 3. Mind the temperature that you are going to transport your cupcake in as it can have a great impact on the stability of your cakes. 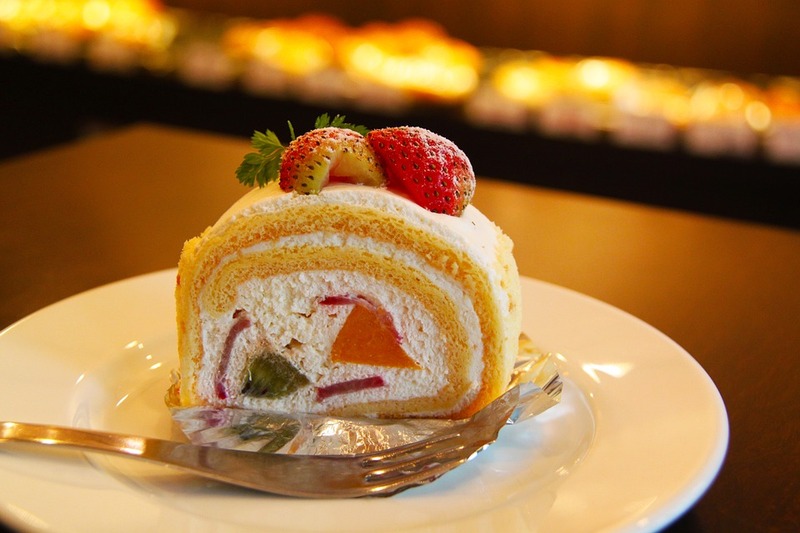 If the cakes come in direct contact with sunlight or are transported in warm conditions, their frostings are going to melt and the cake layers are highly likely to slide. To be safe, strive to keep your cupcakes as cool as possible. On hot days, it is highly advisable to carry a few freezable ice cubes with you to pack around your box inserts. 4. Avoid shaking or rattling your cakes in their box inserts. Generally, the weight of the frosting often makes the top of the cupcake heavy, and will tend to flip over in their boxes. Keeping your cupcake boxes as stable as possible and avoiding knocks will go a long way in keeping them upright. 5. Place your cupcake boxes or bags on flat and stable surfaces, and avoid placing them on top of anything. 6. If possible, get another pair of hands to assist you. When being assisted by a second party, it will be easier to negotiate any other luggage that you have to deal with. 7. Strive to check inside the boxes from time to ensure that your cakes are holding up. This can also allow you to correct minor frosting smudges during the transit. 8. Try to drive slowly to prevent any chances of your cakes sliding around when you pass bumps or when you negotiate corners. Try to place the boxes or bags in the passenger foot and remember to keep the temperature of the car as cool as possible. As you can see, you don’t always need fancy boxes to transport your cupcakes. What you need is to take an extra care of your cakes while they are on transit, and hopefully, the above tips should come in handy next time you are packing a few cupcakes for your picnic. Golden Corral is known for its amazing lunch buffet. However, if you were not able to catch breakfast, then you can make it a brunch affair. The best part is, the Buffet-grill restaurant recently released a special menu for their 7 days of breakfast challenge. The 7 days of breakfast golden corral menu has nothing but tantalizing treats for its clients. It features Golden Corral’s fluffy pancakes and new additions to give diners an unforgettable buffet experience. Moreover, Golden Corrals pushed their opening hours so that customers can enjoy their sumptuous buffet as early as 7 am—even on the weekends. As a certified buffet-grill chain, Golden Corral always has something special for meat lovers. One of their guest favorites is rotisserie chicken slowly grilled and served with various sides. Frequenters of the buffet grill chain would recommend the Golden Corral bread, some veggies, and perhaps a bowl of soup to go with the chicken. As mentioned before, the Golden Corral menu is constantly adding new delights to keep their customers coming back. One of these delights is the smoked beef short ribs that are served sizzling hot. Of course, Golden Corral chefs take the time to marinate the beef before slow cooking it in a smoky oven. The result is juicy pieces of beef ribs with fall-off-the-bone tenderness. Another new addition to Golden Corral’s smokehouse special is double smoked carved ham. This ham fillet is really sumptuous and reeks of in-house flavors with every slice you chew through. Alternatively, you may also opt for Golden Corral’s signature honey-glazed chipotle shrimp skewers. If you are still stoked about chicken, there are two more brunch specials for you. They include bourbon street chicken and Golden Corral’s signature pot roast. For the bourbon chicken, best believe the chicken pieces are marinated in special spices then glazed with bourbon sauce. You can have this with rice or yeast rolls and some veggies on the side. The pot roast needs no introduction either. The platter features slow-cooked beef chunks marinated in the best sauce and spruced up with veggies. You can enjoy the pot roast as it east or add some yeast rolls to feel really full. We cannot forget to mention the grilled-to-order sirloin steak whose tenderness and flavor you cannot resist. Whether you like it fully cooked or medium-rare, best order this juicy steak with some baked potatoes or a slice of pizza. Wash everything down with a nice cold drink and your brunch is complete. It does not matter how full you feel after a hearty brunch, there is always room for dessert. On the Golden Corral menu is a new tooth-sweetener dubbed strawberry cheesecake French toast. 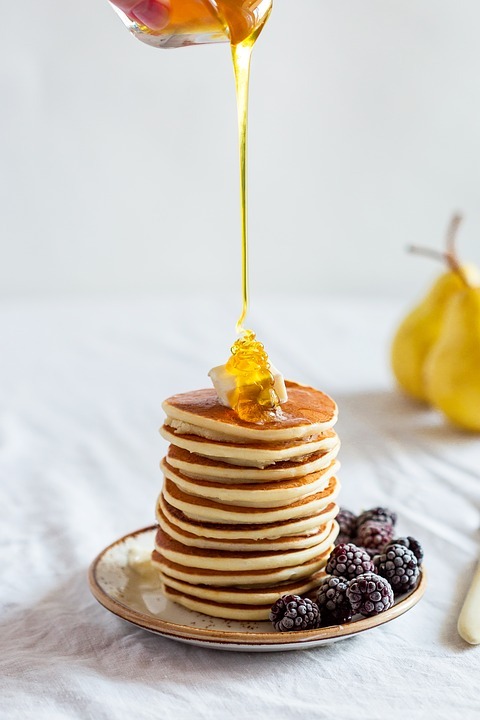 You guessed right, it gets sweeter with every bite and what you need is an omelet or egg skillet on the side to complement it. Alternatively, you may order crispy bacon, scrambled egg, or glazed ham to go with your cheesecake French toast. Golden Corral is a buffet-grill franchise that is in the business of satisfying its customers with an ever-changing menu. Their 7 day Golden Corral menu features customer favorites and new additions to jostle your taste buds. The next time you visit the buffet grill chain, tag a friend or your family along. Remember, Golden corral prices have not changed—they are still much affordable! When you think of Walmart you think of good products. From food and clothing to household items, it is a store everyone prefers when they want to shop. You should not be surprised to learn that everybody likes Walmart cakes. When there is a special occasion marked on your calendar, you want everything to be perfect. While the decorations and food are important, the cake is the center of attraction. Whether you are honoring someone on his birthday, graduation, an anniversary, or other occasion, a custom made cake is the perfect touch. You have many options for custom Walmart cakes. You can choose the size, shape, flavor, frosting, and decorations that make the cake one of a kind. When you have a cake designed and created for your recipient, he will feel very special on his special day. A cake from Walmart is like an extra gift that he will love. Christmas and Thanksgiving are holidays that usually include holiday dinners. Perhaps you also have dinner parties at other times throughout the year, even when it is not a holiday. A custom cake from Walmart will make any dinner party festive and fun. A cake can be a wonderful touch to any dinner party, holiday, or special event, but you do not need a special reason to buy a cake. You can treat your family to a delicious dessert whenever you want to give them a nice surprise. After a meal at home, think of your family’s reaction when you bring a beautiful cake to the table. Family members of all ages will be delighted to see a cake. Everyone will want a slice, or even two slices. The cakes really are that good. Why Choose A Cake From Walmart? From grocery stores to bakeries, you can find cakes anywhere. You may be wondering why you should visit Walmart the next time you want a cake. Whether you meet with one of Walmart’s bakers to custom design a cake, or choose one that is already made, you will see and taste the difference when the cake comes from Walmart. The cakes are made from only the finest ingredients. Walmart’s experienced bakers and decorators produce the most beautiful cakes you can find. These cakes stand out on any table, and make everyone happy. Walmart is the place to shop for many items. Cakes are not an exception. Whether you have a holiday or event on your calendar, or only want to treat your family, choose Walmart cakes. Though coffee beans are available in supermarkets, some people prefer to buy them online. Anyone considering this may not know what type to buy or how to go about it. There are several reasons why one would want to buy coffee beans online. 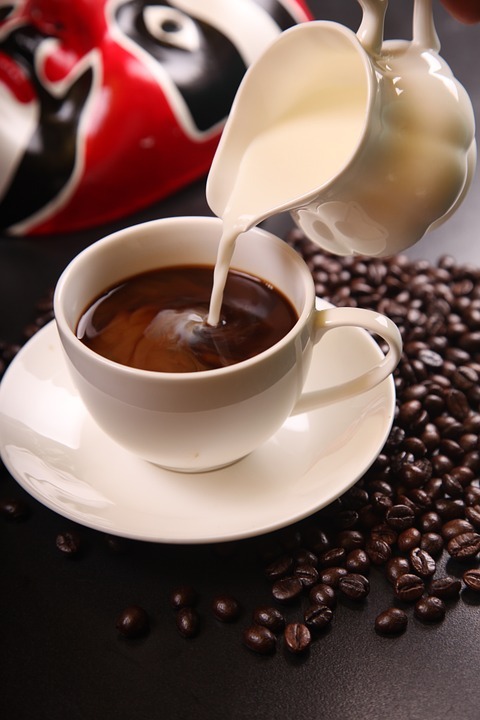 Like most foods, coffee is a perishable commodity which needs to be consumed before the specified expiry date. The main benefit of buying coffee beans over the internet is the freshness, which may not be the case when it comes to conventional outlets. Here, most retailers tend to stock up their supplies, which means one stands a higher chance of buying old commodities. When buying online, one can be assured that the coffee beans will be fresh. Factors like the manner of roasting, packaging and weather all have an effect on freshness. As such, the roasting process is well coordinated with the delivery schedule. When buying online, one has the option to choose between many varieties. It’s even possible to experiment with different tastes and aromas. Besides, one can also complete the entire buying process from the convenience of their house. This is much better as compared to the hassle that comes with conventional shopping. One first needs to decide what type of beans they want. Coffee beans are usually classified according to the region of cultivation. There are two main types, namely Arabica and Robusta. The former is of higher quality and richer flavor than Robusta. However, this is usually reflected in price, so if one is on a tight budget then it would be advisable to begin with Robusta beans. The next step involves choosing the aroma and taste characteristics that one wants from the coffee. These details can be found in the beans’ description, where the aroma, acidity and body are listed. The best way to grasp the different aspects of aroma and taste is to try out many different coffee types. This enables one develop their own favorites and decide which types suit them best. Whatever the choice, one must ensure that whatever they’re getting is fresh. It’s worth noting that no matter how high the quality of the beans stands, the flavor could still be ruined by incorrect grinding or brewing. As such, one needs to adhere to the seller’s recommendations with regards to these processes. Great food means different things to different people. However, there are metrics that you can use to determine best food in Sydney. They include deliciousness, healthiness, and food presentation. Making Great Food: Is It Art or Science? You can argue that food preparation is an art mustered over time. Some think it is a science. There are those who believe it is a combination of both. Many people are aware of the artistic side of cooking. After all, it said that there is something artistic about good food. This does not rule out the concept called the science of cooking. Some people are of the opinion that highly regarded chefs bring scientific principles into the kitchen. They argue that the kitchen is a science laboratory. These individuals view cooking as an experimental science. Scientists have long grappled with the question: what makes good food. Molecular Gastronomy is emerging as a new scientific discipline that goes behind the science of preparing amazing food. 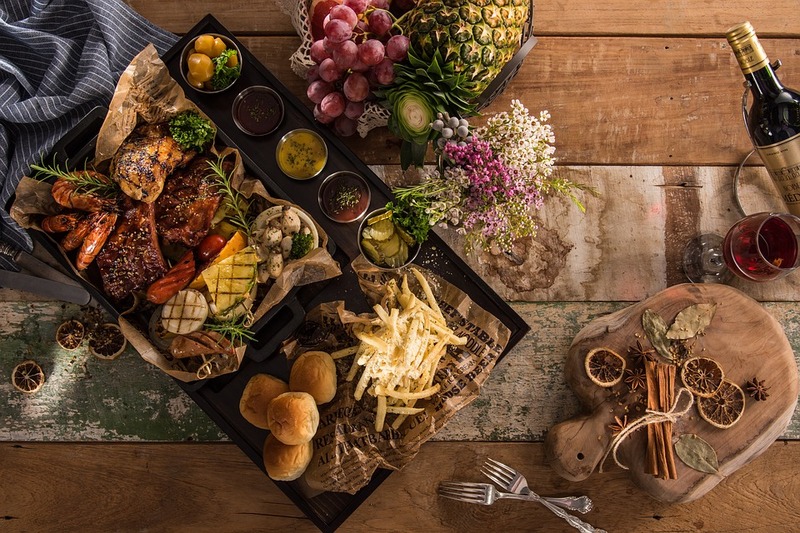 According to this science, some restaurants have created a new level of food enjoyment and appreciation because of the novel combination of flavors and textures. These flavors are a result of physical and chemical techniques. The science of Molecular Gastronomy is introducing new insights and perspectives to the matter of great food. 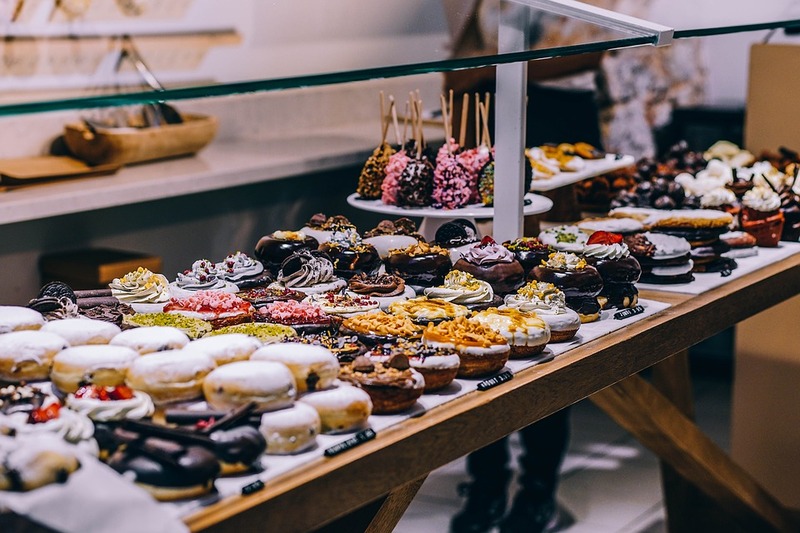 It introduces chemical sciences in the issue of food deliciousness by arguing that chemical changes that occur during food production ultimately influence the taste and quality of food. This is an important metric when it comes to rating food. It is perplexing that some dishes are delicious while others are not. It is reasonable to want to know the cause of this difference. It all boils down to the issue of ingredients. How ingredients were grown matters. In addition, the cooking style used will dictate the level of deliciousness. There are many ways to cook a particular ingredient. A great chef knows the best way to cook a certain ingredient. This is a vital issue. A meal is as good as its presentation. There is need to use the right techniques for presenting. Ultimately, the issue of best food boils down to enjoyment. The bottom-line is how a person enjoys a meal and psychological, physical, and historical factors influence this. In a way, the issue of whether or not a meal is superior is relative and not absolute. This is because, what pleases you will not automatically please another person. Great food plus great environment equals an unforgettable experience. You will find this package in only a select few restaurants in Sydney. The best food in Sydney is one cooked to perfection. It has ingredients grown in optimum conditions. Great cooking is part art and part science. Dinnerware may consist of a number of things including spoons, forks, glasses cups and plates. These things are important in making dinner time one of the most fulfilling times of anyone life. Having the right dinnerware is key to ensuring that each occasion is marked in a unique manner. However, there are a number of things that anyone should know before they buy dinnerware online. While the Internet presents sellers and buyers with a convenient platform to transact, it is important to acknowledge that it is also full of people who may take advantage and sell poor quality items or counterfeit products. It is prudent to do some research regarding the particular online seller before carrying out any transaction. Sellers that have a good online reputation are likely to provide high quality products. It is prudent to read the terms and conditions of each seller before making a purchase. These terms and conditions can help guard against unpleasant misunderstandings that may arise if your products do not arrive within the agreed period of time. The conditions also ensure that the seller and buyer are bound by the laws and regulations of the land. To get the products you want at a reasonable rate, it is wise to avoid making purchases on the first website you come across. Instead, go through a number of seller websites and compare their rates. This will allow you to find the best deal within a short period of time. It will equally allow you to compare various models of dinnerware before settling on the most ideal. Individuals that buy their products online are able to enjoy a number of benefits. One of these include getting products at cheap rates. Online sellers are able to sell cheaply because they receive their products directly from manufacturers at reduced prices. The sellers often have virtual shops meaning they do not spend money on payment of issues such as rent and power. Another advantage of buying online is that individuals are able to sample a variety of products within a short period of time. Each seller gives a detailed description of the products in stock. In most cases, high quality images of the products are also included on the site. This makes it possible to browse through items quickly. Buying products online is quite convenient because customers are able to make inquiries and purchases without having to leave the comfort of their own homes or offices. Once payment is settled, the seller may deliver the products to any address indicated by the buyer. The Mocha Italia blend from Costa coffee is a well-guarded secret. Every cup of coffee is an irresistible blend of slowly roasted Robusta and Arabica coffee. This creates a rich, round and smooth taste. The hand making of a cup of Costa coffee is a skill that takes time to perfect. The men and women behind this coffee brand have an obsession for creating great coffee. They also have the competence and the experience. They love it rich, full flavored and velvety smooth. This is exactly what Costa offers. Costa Coffee is a chain of specialist Italian coffee shops, all over the UK. This brand has more than 6,000 coffee vending machines and restaurants exceeding 2,000. This has to be the velvety flat white coffee. There is nothing like this in the entire continental Europe. This is fully flavored coffee with the perfect taste and aroma. The heartbeat of all Costa coffees is the intense espresso. It is dark, short and handsome. It has a wonderful aroma and a great taste. Find out about intense espresso Costa coffee prices and join the coffee club to accumulate redeemable points with each purchase. You can also sample the limited edition No. 17 from this coffee house. This is your favorite coffee with some Peruvian flavor and hints of caramel aroma and bittersweet chocolate. Many Brits love the frothy cappuccino from Costa. It is a warm blanket of silky milk complete with a dusting of chocolate and a smooth espresso. This is the rich Cortado. You will enjoy everything about this coffee. It is a rich, intense coffee cup with a topping of textured milk. To sign off, there is a heart on the top layer. What started as a small downtown coffee shop is now a nationwide brand with yearly revenue in excess one billion pounds. Great Costa coffee prices mean that it is possible to enjoy the best coffee in Britain without hurting your pocket. This company has its own roaster and it employs one of the world’s most renowned coffee tasters. The tongue of the leading Costa taster has an insurance for 10 million pounds. With the Costa Club membership, you earn points for every cup of coffee that you take. You can redeem these points to get free coffee and other goods. You will need an app or a card to record your points. Most people frequent the local cafe as part of their daily routine or weekend tradition. If you’re such a person, you may have fallen into a pattern of drinking and throwing away the disposable coffee mug. When presented with options that feel convenient in the moment, it becomes hard to break a habit. Every year, billions of disposable cups are used all around the world, with most of them only being used once and then discarded. The common assumption is that most of these mugs are easily recycled because they’re made of plastic or paper. However, this is simply not the case or even a practical option. Plastic cups are coated with plastic resin, which makes recycling difficult. This means that most disposable cups are usually sent to landfills. This results in more waste in an era of diminishing landfill space and limited resources. Although some effort has been put towards making recycling possible, opting for resuable drinking cups is a much better option. -Environmentally friendly: The production of disposable cups takes up lots of resources (think of materials, energy and transportation). On the other hand, reusable cups are more sustainable. -Heat retention: Reusable mugs can keep your coffee hot for several hours. If you’ve been looking for something that will keep your coffee nice and hot, you’ll be glad to know that there are many insulated mug options. -Convenient: Because most mugs are spill proof, you will no longer have to worry about coffee stains on your garments. -Better Flavor: Drinking out of a reusable cup is infinitely more pleasant than is the case with disposable mugs that have plastic lids. -Budget-friendly: A good number of establishments now encourage customers to bring their own mugs by offering lucrative discounts. So next time you’re visiting such a place, remember to carry your own mug and get a discount. -Think of the various scenarios where you’ll use your mug before purchasing. -If you have a friend who already uses one, ask them to allow you use it for some time to see if would suit you. -If you prefer hot, blended or iced beverages, opt for an insulated mug. -After purchasing, keep the receipt so that you can return the mug if you find it impractical.